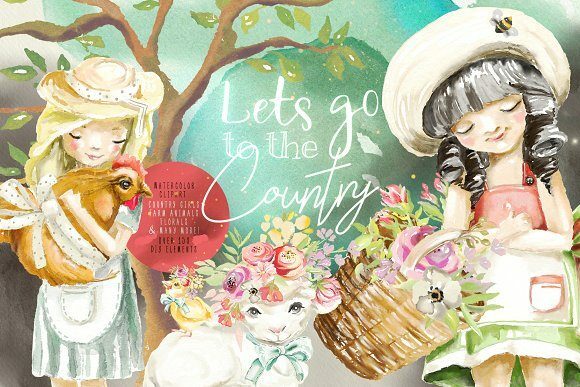 Let’s Go To The Country – Watercolor clipart Cute girls, farm animals, florals, decorative elements, frames, patterns, watercolor shapes and more! 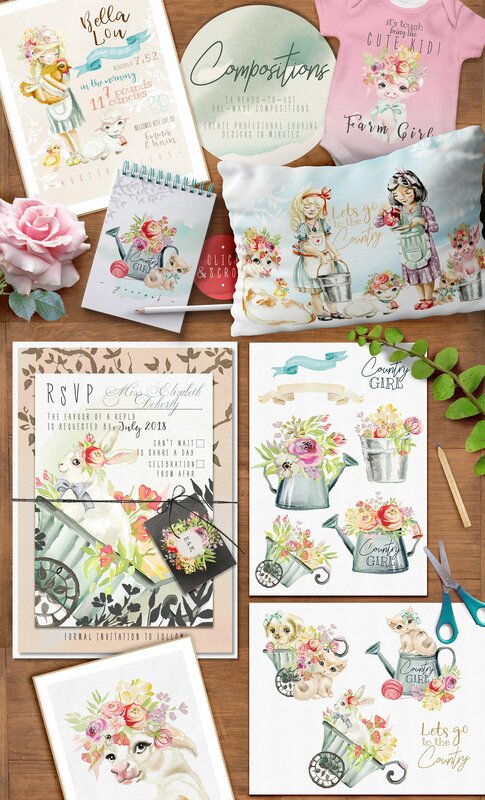 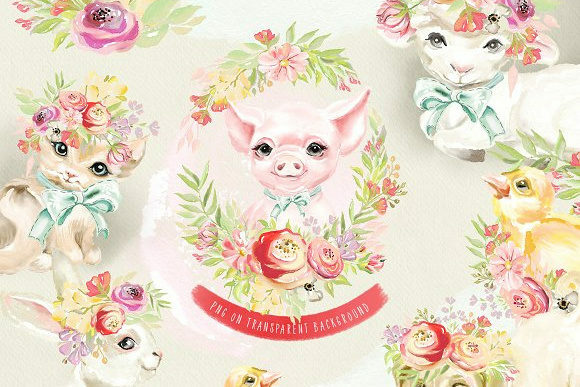 The set of beautiful hand painted watercolor clipart. 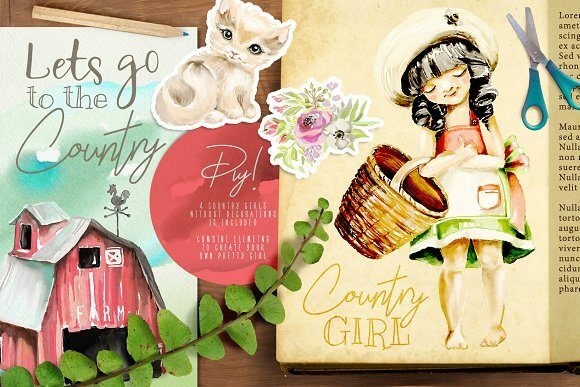 With this themed clipart you are able to create amazing designs just in minutes! 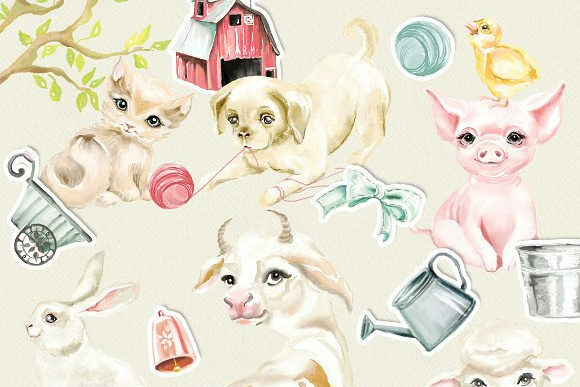 Country girls, beautiful animals – sheep, cow, piggy, bunny, kitten, puppy and little chicken. 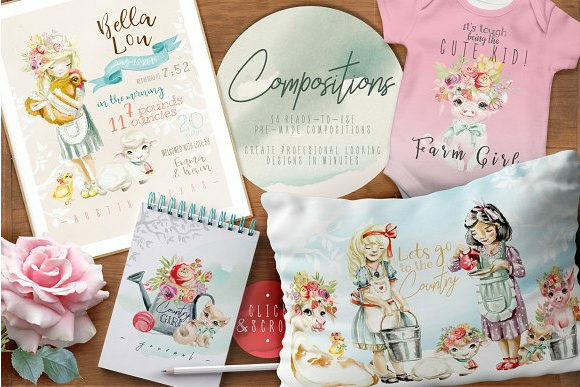 Decorations, flowers, frames and others design elements – mix and match them to create cute scenes. 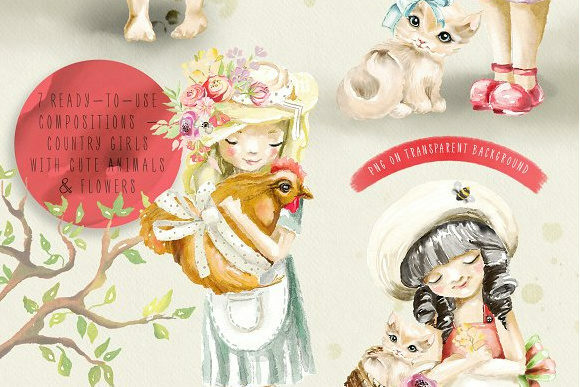 All of the girls and animals are coming as pre-decorated and clean versions. 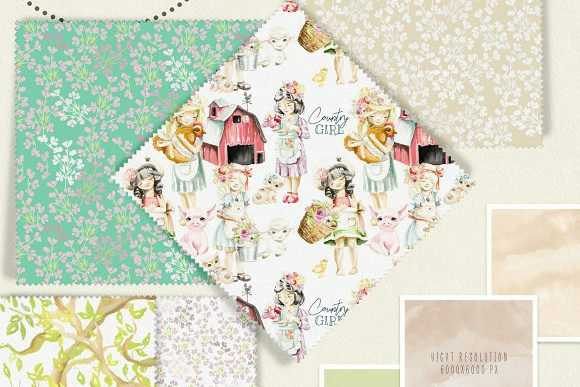 A lot of ready-to-use pre-maid compositions are included as well. 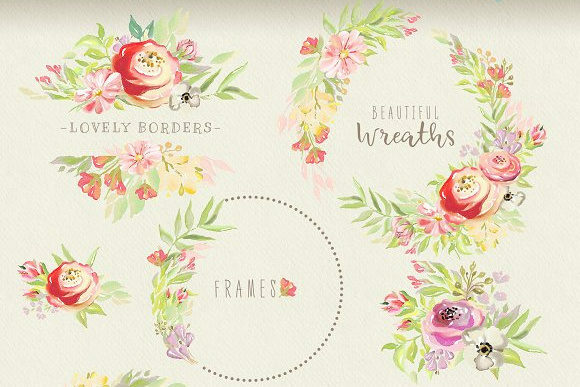 Tileable patterns, watercolor shapes and papers will be useful in creating of great designs!